To support the demanding needs of today’s supply chain, safety, security, and fast reliable data collection/communications is imperative. From inventory management to order fulfillment, asset tracking, and shipping/receiving, the logistics ecosystem requires advanced solutions to keep it running smoothly. Winmate understands the demand of modern technologies for handling capabilities and presents a full line of rugged vehicle mounted computers to meet the growing market demands. Winmate’s FM series of vehicle mounted computers are specifically designed to be mounted on vehicles for logistics tasks with its modular design. 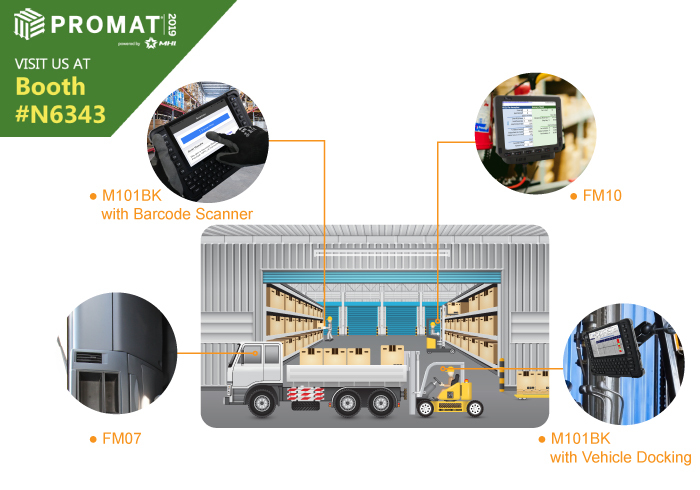 Vehicle docking solutions and barcode or RFID scanners allow for simple one-handed docking/undocking for data collection and on-the-move computing tasks. In big warehouse facilities, onboard GPS makes it possible to take the most effective route to the next rack location, indicate the location of the forklift and navigate around, and thereby helps to increase productivity. With more vibration and shock proofing compared to other computers, the vehicle mounted computers will minimize downtime and repair costs while operating in tough environments. 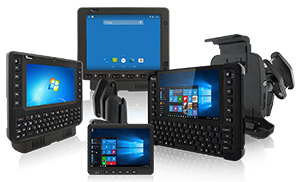 For a chance to see Winmate vehicle mounted computers in person, please visit us at ProMat 2019, North America’s leading exhibition showcasing the latest solutions for the manufacturing, logistics and supply chain industry. If you are making the trip to Chicago in April 8-11, please make sure to visit McCormick Place and drop by our booth at N6343. 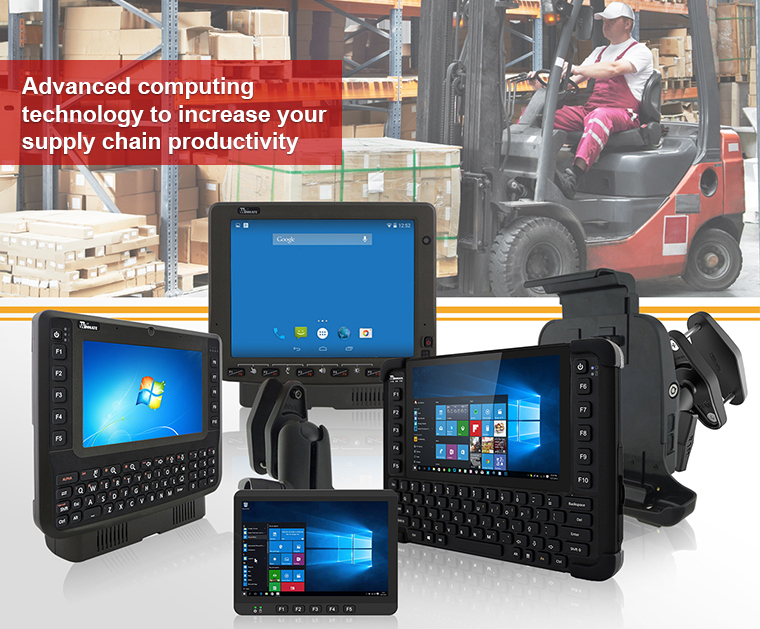 Forklifts equipped with Winmate’s vehicle mounted computers can solve main challenges in material handling. Modernized automated technology stands reduce labor costs, minimize errors, streamline ordering and inventory management, and improve operational efficiencies. For more details and questions on Winmate’s vehicle mounted computers, feel free to contact us for more information.